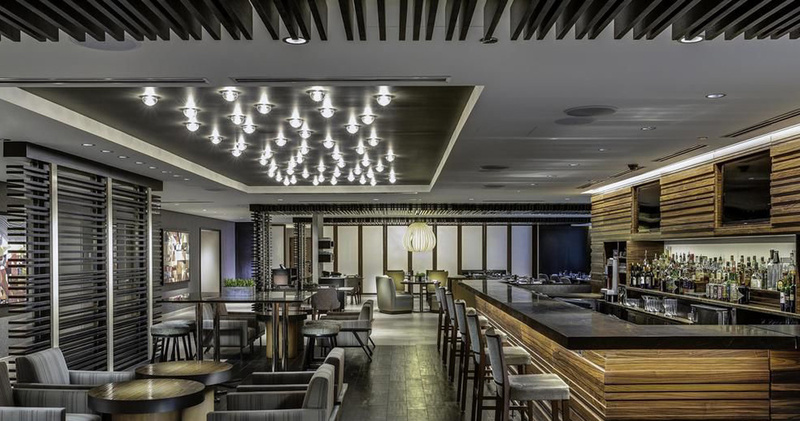 Hyatt Chicago is an urban hotel with stylish surroundings and comfortable accommodations in the heart of Magnificent Mile. 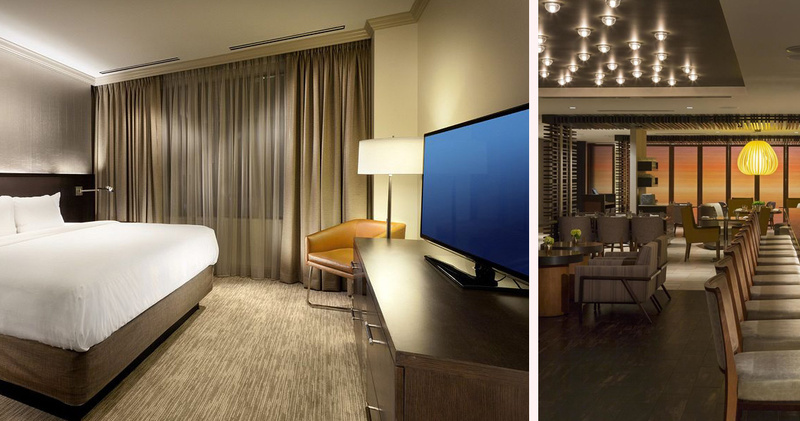 Hyatt Chicago is located in Magnificent Mile, close to the lakefront and Navy Pier. 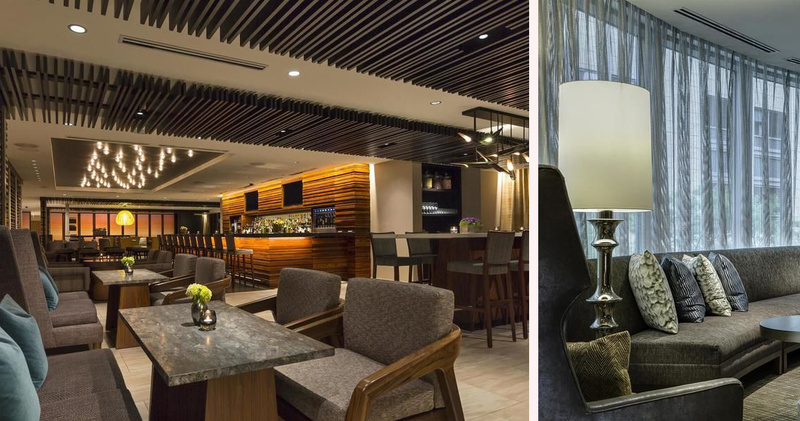 This urban hotel has a very serene, stylish atmosphere with spacious, bright public spaces. The lobby features a glittering chandelier, modern artwork, large windows and comfortable lounging furniture. 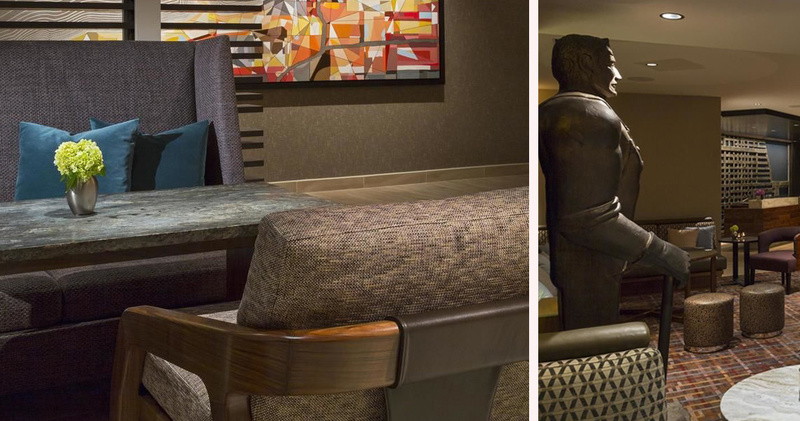 Scattered throughout the lobby are beautiful glass installations and sculptures. 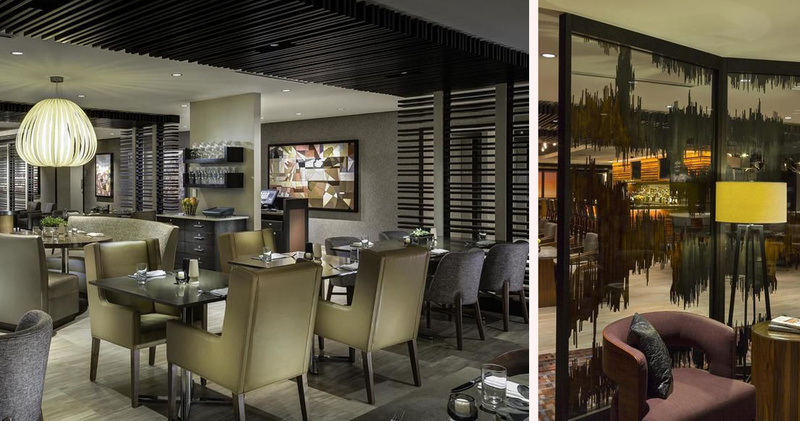 A Starbucks outlet is located in the lobby of Hyatt Chicago Magnificent Mile. 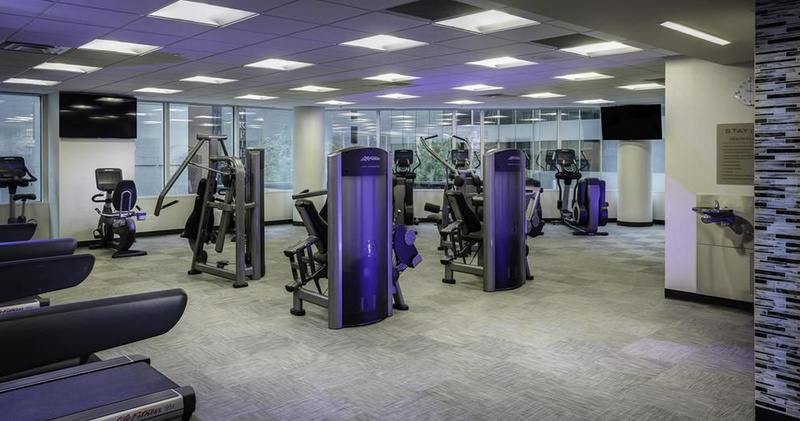 Guests can also workout at the state-of-the-art fitness center of the hotel while enjoying views of the city through extra-large picture windows. 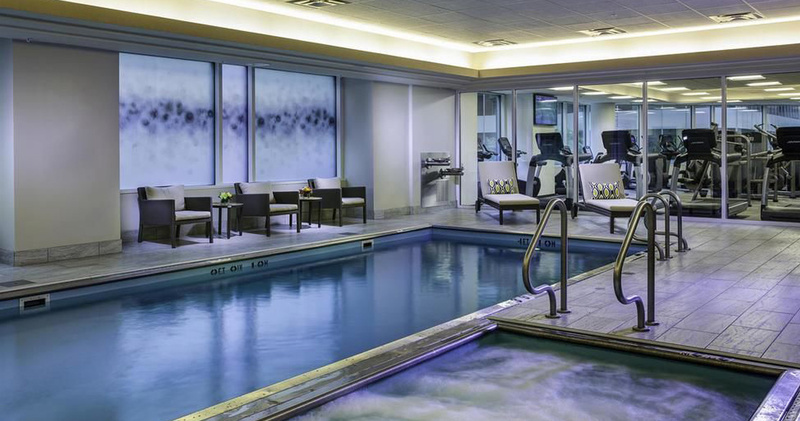 Guests can spend an afternoon lounging by the indoor pool and the whirlpool. 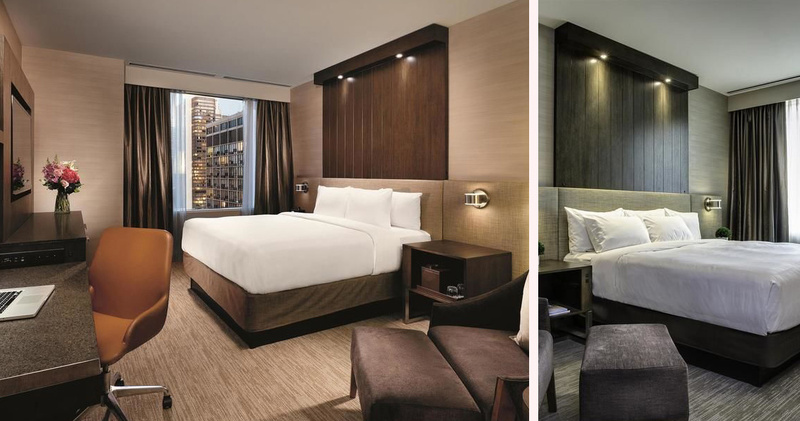 The guestrooms at Hyatt Chicago are contemporary and stylish. Featuring a serene color palette of earthy browns and soothing beiges, the guestrooms are inviting and relaxing. The dark hardwood paneled feature wall adds texture to the decor. 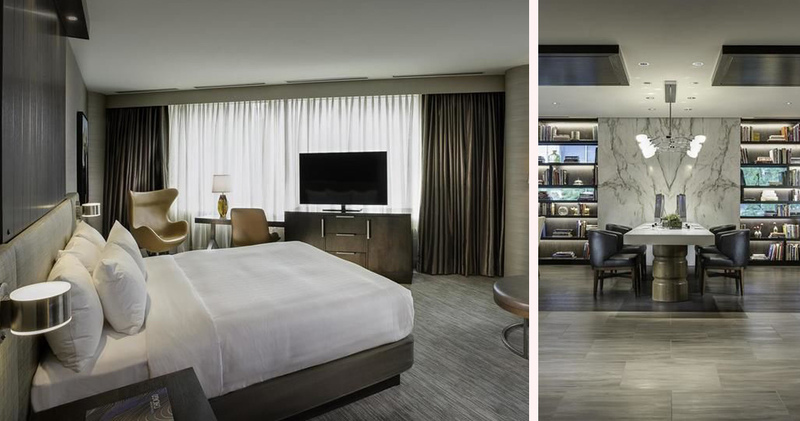 The beds feature plush Hyatt Grand Bed mattress and crisp linens. For entertainment, the guestrooms have 55-inch LCD HDTV and an iPod docking station. 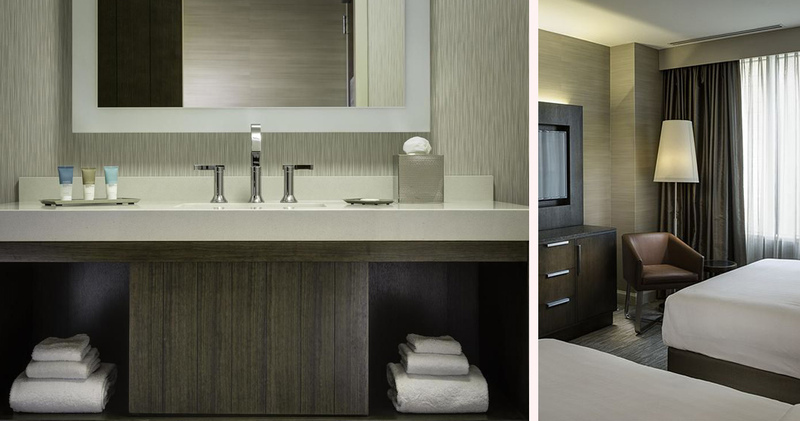 The oversized, spa-inspired bathrooms feature backlit vanities, hardwood finishes and modern bath fixtures. Guests at Hyatt Chicago Magnificent Mile also have access to luxurious KenetMD bath amenities. Hyatt Chicago is home to the Level Two restaurant. 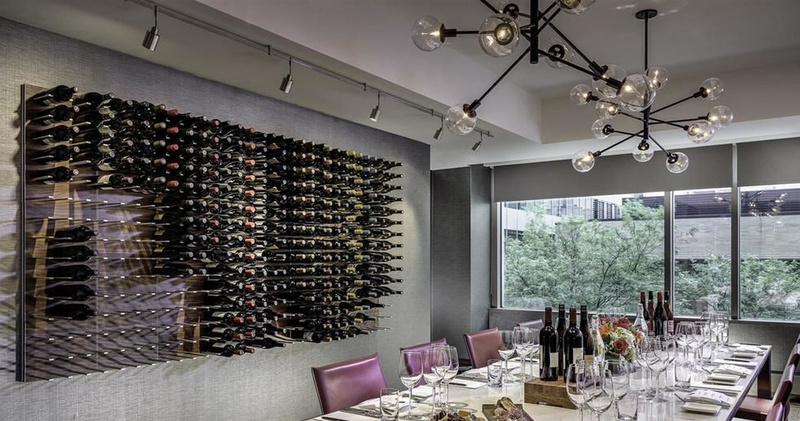 This casual restaurant has a chic, contemporary decor with intimate tables, a bar area and hardwood and stainless steel textural elements. The restaurant serves American regional cuisine along with cocktails and live entertainment.